DJ Ajonra (pronounced a genre) is a recording artist, songwriter, and beat-maker at Level Next Music. Ajonra was born and raised on Chicago’s Southside. She discovered her passion for music when she was 9 years old. At 14, she went searching for a record label in the yellow pages. She stumbled across Level Next Music. She told the music rep that answered her call “I want a record deal”. He told her to rap, she did and shortly after she became a Level Next recording artist. During this time, Ajonra was a principal actress in a Chase Commercial and her song “Crush” was in rotation on Chicago’s Power92 radio station. Ajonra was discouraged when family members told her she couldn’t make money in music. So she dropped music to pursue a more conventional path receiving her Bachelors in Communication and Masters of Business Administration from Illinois State University. After college, Ajonra worked in corporate American for a few years but quitting weighed heavy on her heart. Ajonra was sitting in her cubicle when she decided to leave her job and return to Level Next Music. 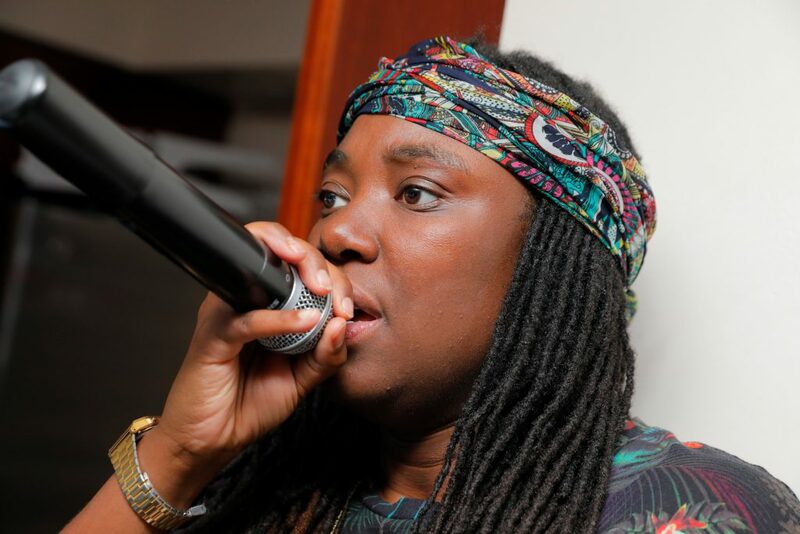 DJ Ajonra did not get back to recording her own music right away. Initially she wrote music with other Level Next artists like Taylor Mallory and K.W.O.E. Ajonra also wrote on a record with fellow Chicago native King Louie. Today she is pursuing her dream as a an artist, songwriter, and beat-maker at Level Next Music. She has also worked on music projects for commercials and reality TV. Her ultimate goal is to inspire young people to make their passion their profession.